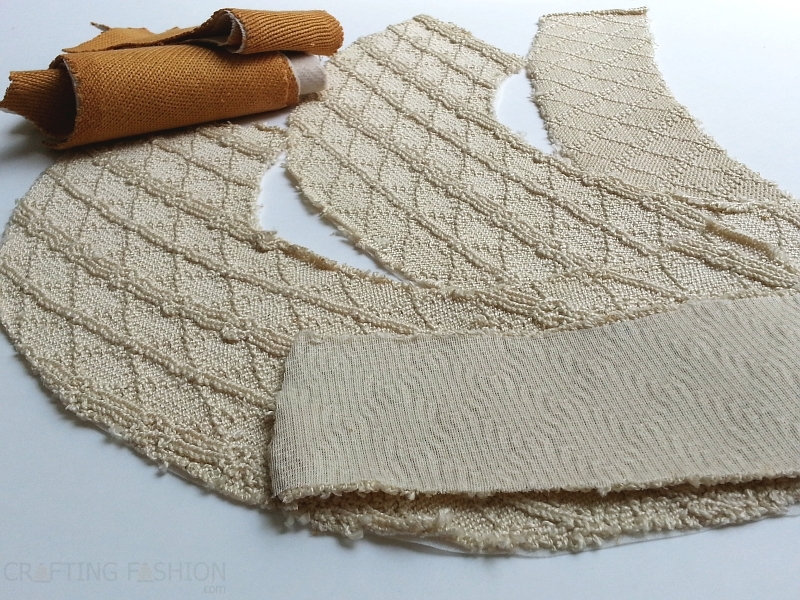 In my last post I discussed modifying commercial patterns to suit sweater knit fabrics. I broke my own first rule in my latest project. In that post I strongly suggested that the commercial pattern you choose should be specifically designed for knits. 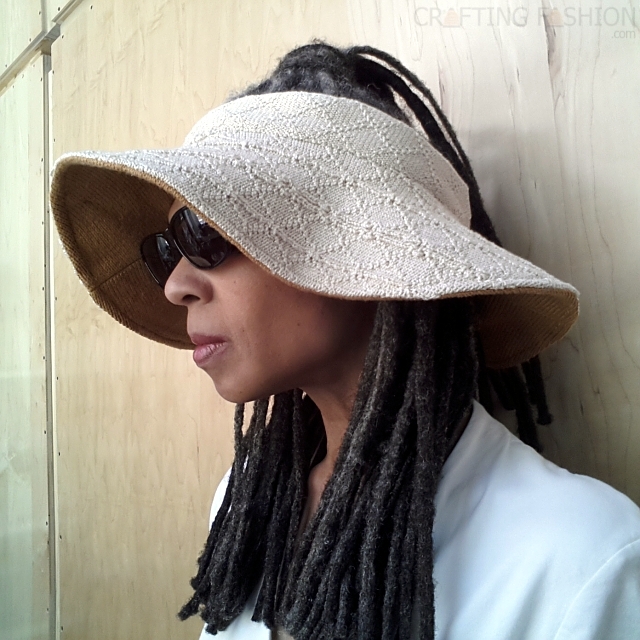 The suggested fabric for the Escape Hat pattern by Angel Lea Designs was linen, and not a linen knit. I decided to used a much heavier cotton sweater knit. Why? Just because I thought the stitch patterns would look good with that style of hat! The pattern called for interfacing throughout. The good part about using interfacing is that my knit fabrics didn't require any temporary stabilization. Though for some reason it took me awhile to figure that out, what it meant was that working with the pieces of stable knit fabric was similar to working with a woven fabric. 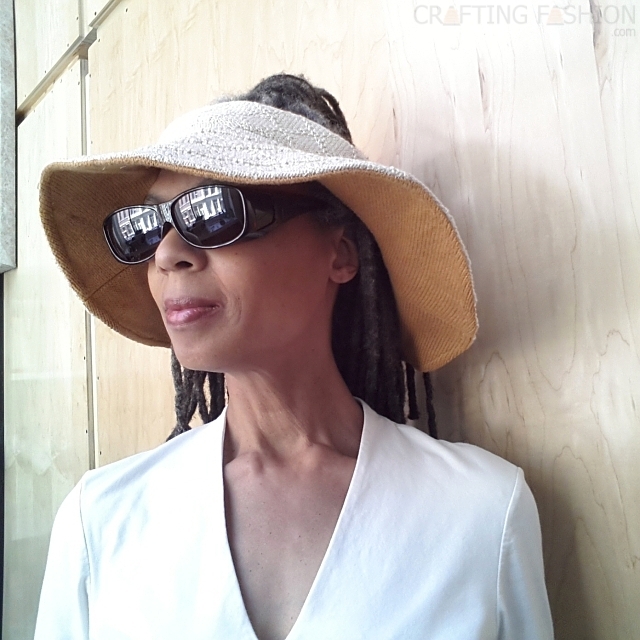 The challenging part about using interfacing was that with my fancy cotton rib main fabric and jersey bamboo lining, the whole hat became thicker than I had expected. Next time I'll use a couple of my lighter weight knits. 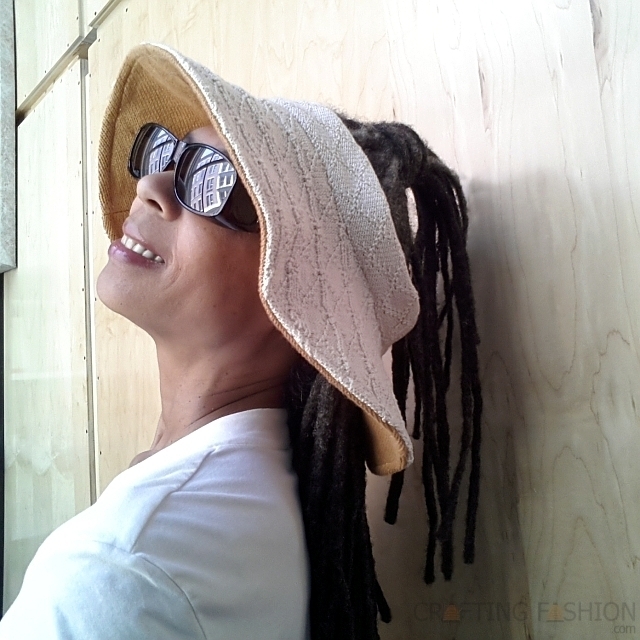 You may have noticed, if you go to check out the Escape Hat pattern (available directly from the designer here), that my version is missing something. I knew when I bought the pattern that I wouldn't be using the top piece; I really wanted to pull my hair through. I'll show my tips for modifying this wonderful pattern in an upcoming post. ETA Click to read Further Notes on the Escape Hat - Sunroof Edition posted May 18, 2013. I love how this hat turned out. I can't wait to see what you learned through the process.